Last Thursday I shared about how dandelions remind me that it is not only okay to be different than the world, but that we are supposed to be different. (You can read it here) Today I want to talk about another lesson I got from this common little weed. We start out being a good creation of God, loved and beautiful in His eyes. But we are also like a weed. No matter how much God loves us or how beautiful we are to Him, we just don't belong in the garden. But God can transform us into something new, something totally different. What a wonderful word, transformation. Merriam Webster's dictionary defines transformation as a "complete and major change in someone or something". We see transformations all around us, especially at this time of year. The trees transform from leafless, seemingly lifeless entities to plants that are vibrantly green. Animals transform from a cold state of hibernation to an energetic state of motion. Flowers transform from bulbs underground to stately, colorful displays of beauty. God promises to transform us too when we decide to allow Him. 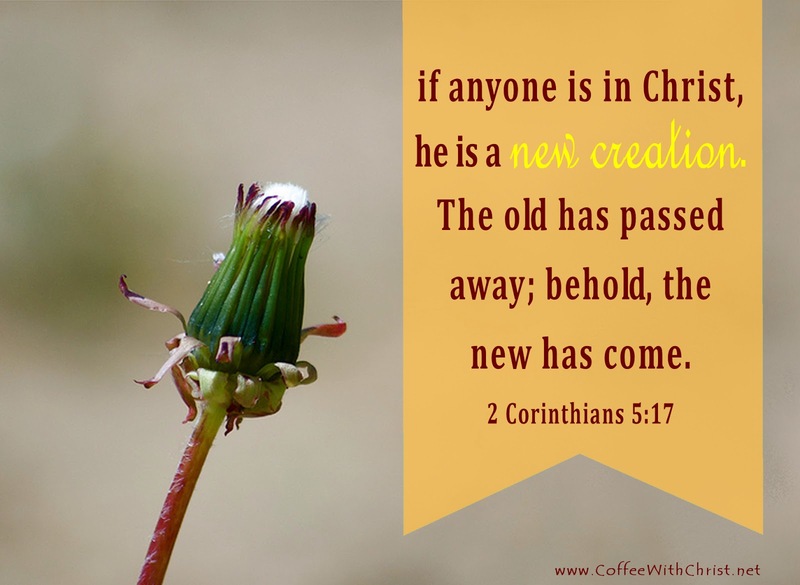 We are told in 2 Corinthians 5:17 that when we choose Jesus, we are made new, sounds like a transformation to me. And Romans 12:2 reminds us that we are not only supposed to be different than the world, but that this difference comes from a transformation of our mind, something internal and not really seen by the world. Sounds like a dandelion to me. A dandelion closes its flower head and the transformation begins. How long it takes varies depending upon outside stimulus. How much sunshine and rain there is greatly affects the transformation. You know, the things a plant needs to survive. Our transformation is similar. When we give our life to Jesus the process begins, but how long it takes is dependant upon our exposure to the Son and how we weather the the rainstorms. Transformation requires energy, and it requires being feed. Unlike the dandelion we aren't rooted in place unable to seek out what we need to complete the transformation. God has given us His Spirit which is life (John 6:63). We can choose to feed our transformation by soaking ourselves in His Word, by listening to His Spirit, by choosing His ways. Or we can choose to make the transformation more difficult by not "feeding" ourselves on Him.